Children cannot escape their parents. When the parents are divorcing or dissolving their relationship, sometimes the children find themselves in the middle of the battlefield. Whether witnessing their parents’ arguing, or being subtly recruited as an ally by one or both parents, the children are in the middle and it causes great damage. The dissolution of a love relationship brings out the worst in otherwise nice or well-meaning people. This overflows and is evident in Family Court, when the acrimony and pain is freely aired in front of a Judge. Unfortunately, some parents cannot see beyond their own pain, sense of betrayal, anger, etc. This acute narcissistic response to the crisis of divorce or relationship dissolution is essentially tunnel vision with a loss of empathy. Tunnel vision shuts down or curtails normal empathy for others, in this case children. Since it is unnatural to have empathy lacking for a child’s feelings or welfare, then at times, the Court has to step in and make sure that the child is protected. How is the narcissistic curtailment of empathy manifested? Some cannot keep their feelings to themselves and they say all sorts of horrible things to a child about the other parent. If not overtly stated, then the feelings may be communicated by facial expressions or other body language, conversations with others within earshot of the child, and in extreme situations may manifest by preventing the child from having normal contact with the other parent. As I’ve mentioned in this space previously, anger can drive litigation with its resultant financial and emotional costs. Whether out of a sense of betrayal, or victimization and a need/desire to get even, a child is a convenient vehicle with which to hurt the other parent. Nothing could be more irrational, but it is a common phenomenon seen often in Family Court. Sometimes, a parent is convinced (rightly or wrongly) that the other parent is incompetent as a parent and is incapable and undeserving of having a warm, close and nurturant relationship with their child. No expense is spared, no effort or methodology is overlooked in the quest to marginalize the other parent. In some cases, a parent might apply to the Court for permission to move far away, out of state. 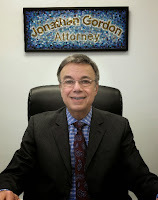 Court’s these days are inclined to allow a custodial parent to move to another state if the move is “not inimical to the child’s best interests” (the current Law in New Jersey, for example) and the move is made for a good faith reason (e.g. Mom got a great job offer elsewhere), among other factors. The moving parent must present a reasonable parenting plan for the other parent, which usually consists of a few weeks in the Summer and perhaps a holiday or two or school break during the school year. Sometimes that arrangement works and is satisfactory. Sometimes it is unrealistic and even impossible to implement. A parent seeking relocation with a child is not necessarily angry, vindictive or trying to marginalize the other parent. An empathetic, sensitive parent can still need to relocate for good reasons. A Court (when the other parent objects) has to dissect away all of the issues to determine if the move is a good thing, or not for the child, and if it should happen at all. Some parents, in their short-sighted, narcissistic view, prefer to act on their belief (whether justified or not) that the other parent should be marginalized, excised or alienated. Acting out that belief and proceeding with that agenda, can be very damaging to a child since the child loves both parents. If there is adequate empathy for the child’s feelings, then a parent sees the potential emotional damage, exercises appropriate parent-child boundaries and inhibits their own behavior to shield the child from harm. If there is adequate empathy for the child, the parent, in the presence of a child on any particular day, understands that the child loves the other parent and is entitled to a relationship with that parent (assuming that the other parent is a fit parent) because it is intrinsically good for the child. It is good for the child by definition, because the child has two parents. Even if the other parent is a terrible husband or wife, that does not necessarily mean “poor parent” as well. When one party vilifies the other, unfortunately the parent-part of the equation gets thrown in with the other (often irrelevant to parenting) issues. So besides being perceived as a bad spouse, that party is perceived as a horrible parent as well even though he or she may be a great parent. And we know who loses out: the child. The child knows that parent A despises parent B. It hurts the child. He/she feels the tension, sadness, anxiety inside. The child learns to hide feelings, not talk about Parent A to parent B, to pretend that the parenting time that just ended was no big deal, nothing special, for fear of hurting the receiving parent’s feelings or causing a problem. In short, the child learns the “rules” of the particular home he/she is in at any particular time, and uses emotional energy or effort to be someone he/she is not. The effort is expended trying to please the parent he/she is with. At the end of the day, the child learns to be something he/she is not, learns to be guarded and to inhibit his/her love for Parent B, just to please Parent A or to avoid Parent A’s anger or disappointment. How sad that is for the child. Being (perceived to be) betrayed, abandoned, hurt, victimized by the other partner/spouse breeds (irrational) hatred and contempt. But perceptions during a breakup, especially when kids are involved can (and often are) distorted, short-sighted and selfishly driven by misguided, subconscious motives. It’s hard to have that insight when a parent is acutely narcissistic and in pain themselves; hard to conjure up empathy—even for a child’s feelings—when there is so much anger fueled further by vindictively obsessive thoughts. All of this is in the context of a child going back and forth between two parents. It’s enough to make a child walk on eggshells. But that causes great anxiety and often depression which affect school, as well as physical health. Parents going through a painful divorce should learn to recognize that they may temporarily be unable to be objective, unable to see the big picture. They should recognize that it is common for the divorce crisis to exist concurrently with an impairment of good judgment and impulse control. If a person acknowledges that (on their own or via professional counseling), and understands that there are always two sides to a dissolution, two opposing views of why it is happening, then hopefully self-righteous, moralistic thinking can be avoided. Hopefully the parent does not perceive him/herself to be a victim and play that role with the resultant blame and anger. Even if a person is convinced that they are “right” and the other parent is “wrong”, there are certain ironclad rules that should be adhered to with children, (assuming both parents are fit, not abusive, not impaired by alcohol or drugs, or criminal behavior or a history of domestic violence, etc.). Calling the other parent unfit because you don’t like that person for how they treated you in a relationship, is not valid. Unfit is used here in the context of court proceedings in which the court or local child protective agency deems the other parent unfit. Being a lousy spouse does not mean that spouse is a lousy parent. Also, your being the better parent does not mean that the other parent should play no role as a parent, or be marginalized. 1. The children have a right to a loving relationship and good, quality time with both parents and the children should know that you feel this way and are supportive of this. 2. The children have a right to love their other parent (who you might despise), and should be given the green light for them to freely do so, by you. 3. The children should never hear you say anything disparaging about the other parent, whether directly or indirectly by overhearing you speaking with others about the other parent. 4. It is your duty as a parent to shield your children from the litigation, from the issues that led to your breakup, from your true feelings about their other parent. 5. It is your duty as a parent to make your child feel comfortable telling you about the fun times they had with the other parent, or in showing you pictures, gifts or souvenirs from time spent with the other parent. This means you behave as if you are happy for your child even if secretly you are seething. (If you are seething, you might consider getting counseling to help you through this because seething only hurts you and makes you feel sick inside.) Acting happy for your child is difficult, since you must be aware of your nonverbal cues, your body language, facial expressions, etc. Rolling your eyes, tensing up, looking depressed, tearing up, etc., all tell the child that it is not ok that they had fun with the other parent. To teach your child that message, is to make your child compartmentalize his/her life, needing to keep things to him/herself to avoid your reactions and displeasure. 6. It is inappropriate and damaging to a child to pump that child for private information about the other parent’s love life, financial situation, or other information that is not relevant to the child’s parenting time. If your child is being mistreated by a boyfriend/girlfriend, you will hear about it anyway, and you can act accordingly. Most of the time, however, new partners of an ex are benign, not wanting to cause any problems with their new partner’s child or other parent. Your child should know that you are ok with their establishing a warm relationship with the other parent’s new girl/boyfriend, and that you are not threatened by that relationship (even if you have insecurities of your own). If you are overly anxious about the possibility of your child loving your ex spouse’s new partner more than your child loves you, then you might benefit from counseling for these insecurities. Your child may benefit from you being in counseling as well. If you allow yourself to feel competitive with your ex’s new love interest, it will lead to emotional disaster for you and for your child, not to mention further litigation. Avoid buying extravagant gifts for your child even if you can afford it. It will only provoke a similar response from the other parent, or hostility. 7. Do not lie to your child about the other parent. Also, do not relate stories—even if true—about your ex to the child, if the stories are at all negative. Do omit telling bad stories about your ex to the child, e.g. “Your mom had three affairs.” or “Your father never did things with you until we separated”, etc. 8. Do not schedule appointments for the child when the appointment will occur on the other parent’s parenting time, unless unavoidable, and unless you first inform the other parent and gain their cooperation and approval. Do not sign up the child for extracurricular activities that will take place on the other parent’s parenting time, unless you have pre-approval from the other parent as well as an understanding that the other parent will take the child to that activity. 9. Do not interfere with the other parent’s parenting time. Don’t call your child frequently or unnecessarily, outside of your agreed-upon or court-ordered phone time. Make pleasant small talk with your child rather than to interrogate or pump for information. Don’t be intrusive. 10. Please share important information regarding the health, education and general welfare of your child to the other parent even if you loathe him/her. Use email or text. For emergencies and acute illness, don’t delay informing the other parent. Pick up the phone and call or text. The child needs both parents to be in the loop. 11. Please do not act as if the other parent does not exist. Perhaps for you, the ex does not exist, but for the child, it is a very different story. Act as if you are both on the same page regarding your children, even if you despise each other, simply for the benefit of your children. Generally, all of the above require a degree of acting, keeping appropriate parent-child boundaries, keeping your feelings to yourself, self-monitoring (e.g. for internal emotional upset, body language, eye rolling, sighing, etc.) and by playing a perhaps phony role for the sake of your children. Your role is that of co-parent who respects the other parent as an equal. Even if you privately believe the other parent is a pathetic loser as a person, and a waste of space on this planet, there is nothing to be gained by your children knowing you feel that way. It only will hurt the children. If you want to be the best loving parent you can be, it would be good for you to allow, encourage and facilitate your children’s love for—and relationship with—the other parent and other parent’s family. Even if you do not get thanked by the other party (because the other party thinks you are a pathetic loser too), you are doing this for your children’s comfort level and to generate as much good Karma as possible for you and your children. While you cannot control the other parent, you can certainly aspire toward doing the right thing by your children, for their benefit. You have the potential of control over what you do, and it is a good thing to self-monitor, and to be cognizant of the effects of your behavior on your children’s emotional and physical development. Try to let go of the past as best you can, don’t harbor anger and resentment, and go forward with your new life as a single parent with a child who depends on your mental health, stability and good example.